Charles G Crook, 86, of Sun City, AZ, died January 31, 2019 in AZ. He was born January 13, 1933 in Waterloo, IL. He is survived by his wife of 66 years Wilma E (nee Hemmer) Crook; children Debbie (Ray) Mirly, Steve (Patty) Crook, and Ellen (Dave) Muskopf; grandchildren Jason (Jamie) Williams, Jeremy Williams, Colton Crook, Brad (Jamie) Muskopf, Kyle Muskopf, and Lindsey Muskopf ; step-grandchildren Doug (Theresa) Williams and Jenifer Williams; great grandchildren Isaac Williams, Amelia Lawrence, Spencer Williams and Mark and Allison Williams, Miles and Victoria Muskopf and Bryan Hatch; step-great grandchildren Anna, Charlie, Claire Williams and Victoria Bement, McLean Ready; sister Barbara (Alan) Frietag; sister –in-law and brother-in-law Verna and Lee Deul; nieces and cousins. He is preceded in death by parents George A and Alice M (nee Kuhn) Crook. Charlie was a former member of St Paul UCC – Waterloo, IL and current member at Desert Garden UCC – Sun City West, AZ. He retired from Hogan Trucking after 39 years, and was a Veteran of the US Army. 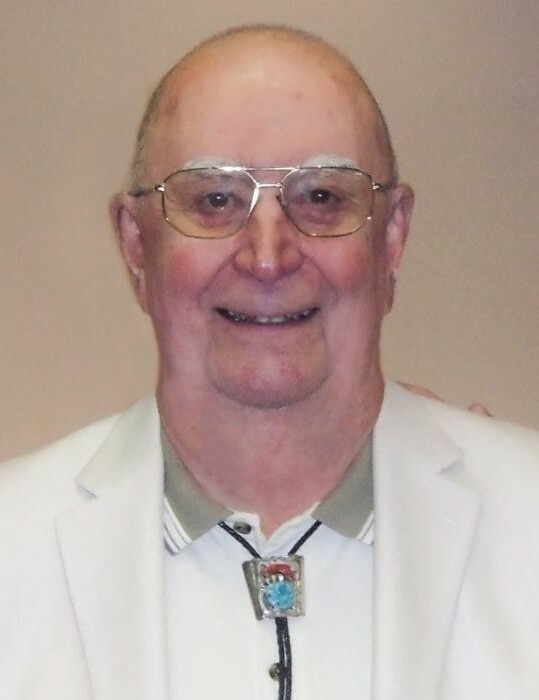 He always had a love of music and played in the Waterloo Municipal Band, sang with and directed the Kaskaskia Trail Chorus, was assistant organist, played hand-bells, and sang in choirs at his churches. He passed on that love of music to his children and grandchildren and was always proud to attend many of the musical events that they performed in. Charlie had a great sense of humor and could always be counted on to lighten the mood wherever he was.